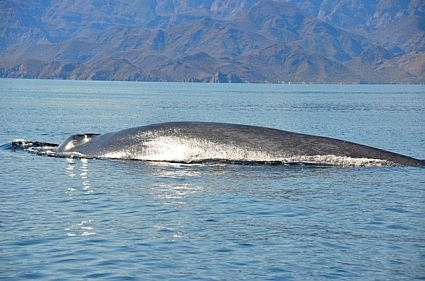 The Blue Whales of the Loreto Marine Reserve “The aquarium of the world” is how the great Jacques Cousteau referred to The Sea of Cortez. Don a mask and snorkel for a swim around the rocks and inlets of the islands and you will see why! 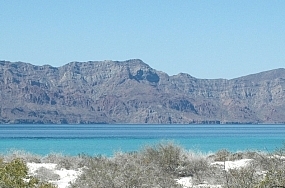 This sheltered, usually calm and sun kissed stretch of ocean lies between mainland Mexico and the stunningly beautiful and serene deserts and mountains of the Baja peninsular. The handsome and tactile people of this remote and wildlife diverse peninsular still reflect the warmth and easygoing nature found in many geographically isolated nations around the globe and have yet to adopt the brash acquisitiveness of their North American neighbours. It is little wonder that many species of great whales make this special bit of paradise a destination to give birth and nurse their calves in these warm and relatively predator free waters. 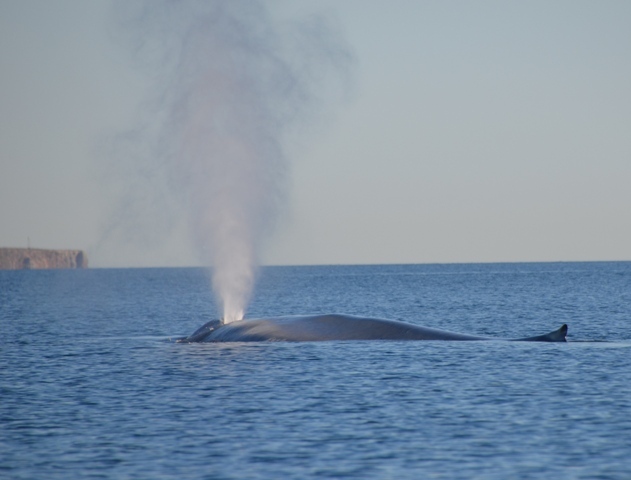 Among these cetacean visitors is included the largest animal ever to live on the earth, the blue whale (Balaenoptera musculus). 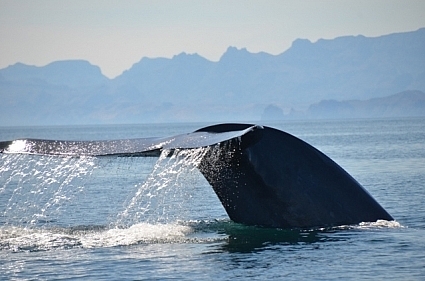 For a few fleeting weeks during February and March each year they visit the seas around the islands of the eastern seaboard of the Baja peninsular. They come to calve, mate and feed on the krill that blooms as the rich waters start to warm in the spring sunshine. Research suggests that these blue whales are part of an Eastern Pacific population that frequents the waters from Chile to California. Spending 10 months of the year patrolling the deep ocean trenches of the Eastern Pacific these leviathans enter the The Sea of Cortez, or Gulf of California as it is sometimes known, around the southern tip of the Baja peninsular. They make their leisurely way up this sometimes rugged coast to the islands of the Loreto Marine Reserve that resonate to names like Carmen, Danzante, Montserat, Santa Cruz and Coronado. 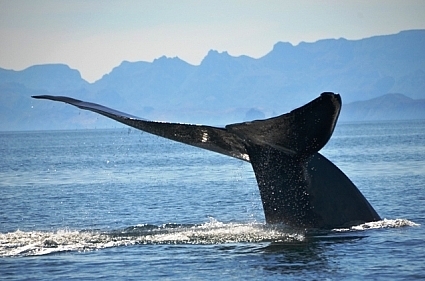 Forsaking the European winter, it is to this paradise that Whales Worldwide bring groups of avid whale watchers every February to view these giants of the ocean. Using specially selected local boat captains and whale experts we head out onto these calm and serene waters looking for the 22 foot high columnar blows that these huge animals produce when they come up to breath. 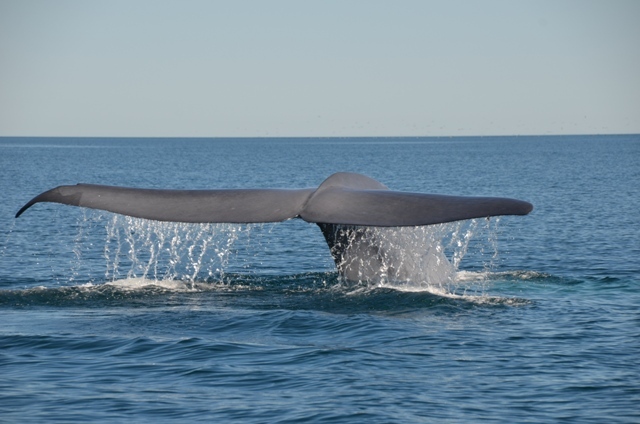 Blowing between three and six times when at the surface these animals are clearly visible before sounding, frequently lifting their huge tail flukes high in the air as they sink slowly beneath the surface. Remaining submerged for between five and seven minutes these 85 foot, 100 tonne giants will frequently surface close to our stationary boats affording us stunning sightings of these incredibly gentle giants and wonderful opportunities for the keen photographers among us. Perhaps these animals find our puny presence as fascinating and mesmerising as we find them! I suspect not! Decimated during the commercial whaling era the blue whale was afforded worldwide protection in the 1950’s as numbers were reduced to a level where they were considered functionally extinct and it was thought that numbers were so low that the sexes would not be able to find one another over such vast oceanic distances to be able to mate and recover numbers. 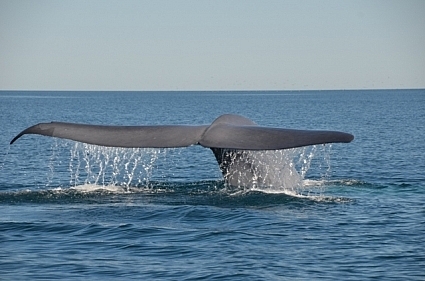 We should have known that these enigmatic denizens of the deep ocean would prove us wrong and although still critically endangered world wide numbers of blue whales are now thought to be between 12 and 14,000 animals. The greatest challenges to their continued recovery today include ship strike, pollution and climate change. For the moment though these stunning animals are reasonably secure when they visit the islands of the Loreto Marine Reserve. The Mexican government takes their protection very seriously and stiff penalties await those who flout the code of conduct for observing these animals. It is hard to drag ourselves away from this paradise on earth; but return to the day job we must…but we can always start looking forward to next year! 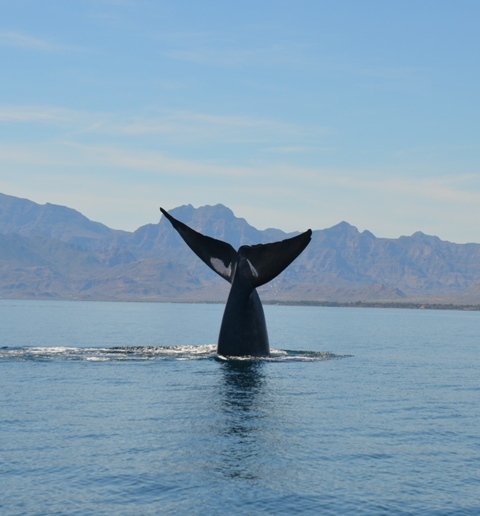 “… an outstanding trip to the Sea of Cortez and the Pacific to see Blue Whales and Gray Whales. Nic Slocum proved an excellent, genial and well organized host, who ensured the whole trip ran smoothly, with the best local field staff utilized, the drivers and boatmen proving of the highest quality and adding greatly to the success of the trip. All this down to Nic’s local knowledge. Coupled with this, Nic’s infectious enthusiasm, excellent itinerary, and vast knowledge of cetaceans ensured we were always engaged and enthralled in equal measure with these magnificent animals. Our encounters with these wonderful marine mammals exceeded everyone’s expectations. Blue Whale and calf for over an hour interacting with our small “panga” shall live long in the memory. Nothing can quite prepare you for 90ft and 85 tons breaking the surface adjacent to your tiny boat. The Pacific Gray Whales were just as compelling, allowing very close encounters and even physical contact, their inquisitive nature bringing them gently right alongside the boat, the texture of their skin a surprise to all and the soaking from a “blow” a delight. A truly memorable experience. We would recommend Nic Slocum and this trip unreservedly. We have seen gorillas, tigers and experienced a host of wild ventures, but this has topped the lot…” Steve, Ann and John Roberts For further details of the tours led my marine zoologist Nic Slocum PhD FRGS to see The Blue Whales of the Loreto Marine Reserve please visit our website or email Nic directly on nic@whale.ie or call on +353 86 120 0027. We will forward you a full colour brochure.